Book by 7 June and receive up to 50% off when staying 7 nights or more between 17 April - 2 January 2020. Not combinable with other discount offers. Book to stay from 7 nights or more and receive the Rendezvous Romance Package free of charge. All weddings are subject to mandatory marriage officer and government documentation fees, which are US$250. One complimentary Honeymoon Massage per stay of 5 nights or more. 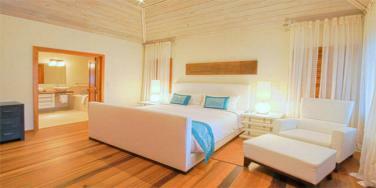 Couples booking the Luxury Beachfront Suite have a choice of having their Honeymoon Massage in room. Qualify for a guaranteed Room Upgrade by upgrading your Honeymoon experience to a Premium EverAfter Honeymoon Collection Option.